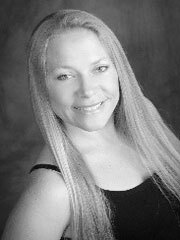 Karrie received her BA in Education with a Minor in dance from the University of Tennessee in 1999. She has over 30 years of dance experience in a variety of styles including Jazz, Tap, Modern, Lyrical, Hip Hop, Ballet, Hawaiian, and Texas Two Step. Prior to moving to Georgia she performed with many notable dance companies and organizations including the Dayton Bomb Squad, Dayton Cowboys, University of Tennessee Dance Company, Armfield Guffy Dancers, and Dayton Two Steppers. She has had the privilege of performing on some of the most beautiful and unique stages while on dance company tour through Italy, during the nationally televised opening for the Women’s Basketball Hall of Fame, studying Polynesian dance in Hawaii, and dancing for the B-52’s during their 1998 summer tour. Her performance experience has not been limited to only dance. With a AAS in sign language Interpreting she has had the opportunity to perform while interpreting for Les Miserable’s and numerous shows at Dolly Wood. Additionally, she has had the unique experience of performing as magician’s assistant and has appeared in several TV shows and movies including Marry Me, Ivy League, Vampire Diaries and as a featured two stepper in the remake of Footloose. Karrie has spent the last decade as an instructor and choreographer at several Dance and Theatre Schools in North Georgia, as the creative director, and choreographer for the Creekview High School Drama department and an adjudicator for the Shuller Henseley Awards. Gordon Angels has been married for 48 years to his wife Cyteria and they have two children, Carmen and Kirk. Cyteria is cancer survivor and friend of Loving Arms. Cyteria nominated Gordon to dance as they both enjoy dancing. Gordon worked in the medical/dental field for 35 years as a surgical technician. 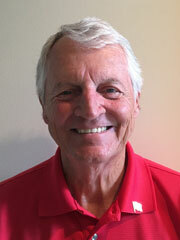 He loves to play golf and he has also sung with the “Big Chicken Barbershop Chorus” for 21 years! Gordon is dancing in honor if his wife Cyteria.